Wearing a brushed nickel finish and an off-white shade, this contemporary table lamp has fashion that lasts. Equipped with a built-in USB port and utility plug in the base, this stunning modern metal table lamp is paired with a cylinder shade. In a brushed nickel finish, with a handy on/off switch on the base. Ideal task lighting on a desk or next to a reading area. Overall: 20" high x 6 1/4" wide. Cylinder drum shade is 16" high x 6 1/4" wide. Weighs 1.8 lbs. Uses one maximum 60 watt standard-medium base bulb (not included). On-off switch for light on base. A USB table lamp design from the 360 Lighting brand. Built-in Type-2A USB port and a power outlet in the base. 2 amps. Great for recharging smartphones and more. Brushed nickel finish. Metal construction. 8-foot long clear plug and cord. These should fit perfectly in our Guest Bedroom. I needed something to sit in a dark corner foir light to go up the wall. 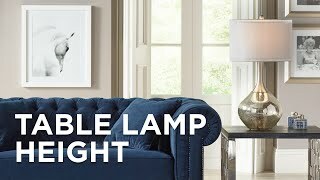 Need a narrow, tall lamp for a window nook in a contemporary/sleek design style. 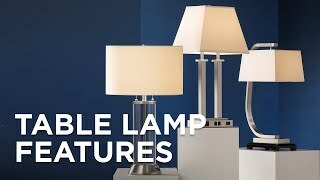 We needed a tall-ish, contemporary style white lamp for night tables in a guest room. This had the look and right amount of light needed for the space, and the usb port was a real bonus. Our guests will love this feature. It has the right profile ror the space--size, color, style plus a usb port--an added bonus for this area. I have a floor that matches it. Love the 2 Amps USB port and the outlet in the base. I also love the easy power switch for the lamp. Exactly what I was looking for. Will match table lamps previously ordered and has a low profile with a contemporary look. Are there replacement shades? If so, where? BEST ANSWER: Hi - I am sorry, a replacement shade is not available for this model. 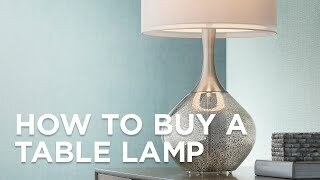 Will this lamp make a good reading lamp? BEST ANSWER: I use it as an accent lamp with a 40 watt bulb in bedroom. 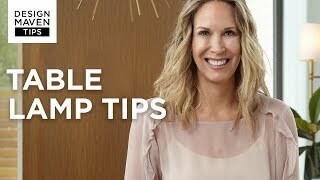 You can use up to 60 watt so if that is enough light for your eyes you will be able to read but if you use led bulbs go for a daylight one as opposed to soft white since it will give more light. I love that it has a USB port. Hope this helps. I have 2. One on each side of our bed. They provide a modern profile and evoke a nice mood with low accent light, but not sufficient to read by for my eyesight. That depends on how much light that you like when you are reading. 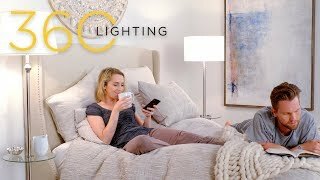 Older eyes typically need more light when reading and this lamp is 60 watts maximum. No, it is a filtered light, not bright for reading. Where is the light bulb located - toward the bottom or middle of the shade? BEST ANSWER: Smack dab in the middle. I love these lamps. We have one on each night stand on either side of the bed. With a tall headboard, these are the perfect height, providing balance with a modern profile and do not consume too much space. The UBS port is a bonus. The light bulb is located about an inch below the middle of the shade measured vertically. The bulb base is the bottom of the shade and so the bulb sits at the lower middle level. The middle. We’re very happy with these lamps. Good value for the money. Does this come with a dimmer? BEST ANSWER: Hi, the lamp does not have a dimmer. It is on/off only. BEST ANSWER: The shade is a faux linen look fabric and it is opaque -ish - Nice little nighttables lamp in guest room - great size and very good function with the USB port and rocker switch on base. It is made of what I would say any general lamp is made of....a slightly rough feeling fabric. Good packaging and shipping. Arrived in excellent condition. The USB charger does not seem to provide a full charge over night. We can use the auxiliary outlet for a charger so it works. The perfect style for us though. This lamp works as expected and looks very stylish on my bedside shelf. The USB port works well for charging my phone, although not so well with some other devices we tested. Overall a nice option for managing cables in the bedroom. Ordered this in the beginning of the month. It arrived with a severe blemish on the base; along with a crooked sitting shade. I exchanged for a new one. The second one showed up a couple weeks later. It has a "lesser" blemish on the base; a flimsy sitting on/off switch with glue sticking out, along with a less than perpendicularly aligned stand; and an even more crooked sitting shade. I would attempt another exchange, but am fatigued by the entire process. Hi Jon G., sorry to hear that your table lamps arrived with some blemishes on the base and other construction issues. Our customer service team would be more than happy to provide other solutions for you to make this right. Please reach out to them via phone, email, or chat. Thank you. Styled for an artistic effectthis gloss white finish metal accent table lamp works perfectly in a relaxed setting. This designer Citrus yellow accent table lamp comes with a stylish double sheer silver and white drum shade on top.